Brings together three aspects of property development - strategies for investment, markets and appraisals. 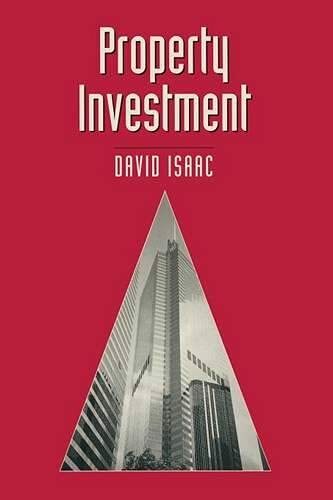 This book considers research in these areas and provides a commentary on the individual and portfolio analysis of property investments. This work brings together three aspects of property development - strategies for investment, markets and appraisals. It considers research in these areas and provides a commentary on the individual and portfolio analysis of property investments. By using statistics and graphs and analyzing the latest techniques, the book summarizes the present state of play in the property investment markets, the sectors and the investors. The author outlines the developments in investment and finance theory that have had such an impact on the property investment sector.